NGDP Targeting is an easy concept to understand and so I will try to share it here. I am sharing this as a layman, a financial contributor, not as an economist. I have not made a judgement about the merit of the system, only that it makes perfect sense and that monetary policy has been unnecessarily blind to the reality on the ground. The economists who target NGDP are known as market monetarists. Sharing this relatively new school of economics on a basic level has to then be, a sharing by example, not by abstract academic thinking. I have written a little article showing the terms involved in a more thorough understanding of the subject, and why I think it could work except for the problem of recent bond behavior. And of course, serious students can learn from the many blogs that exist teaching the abstract details of what the school stands for. But here is a simple approach for those who are not economists. 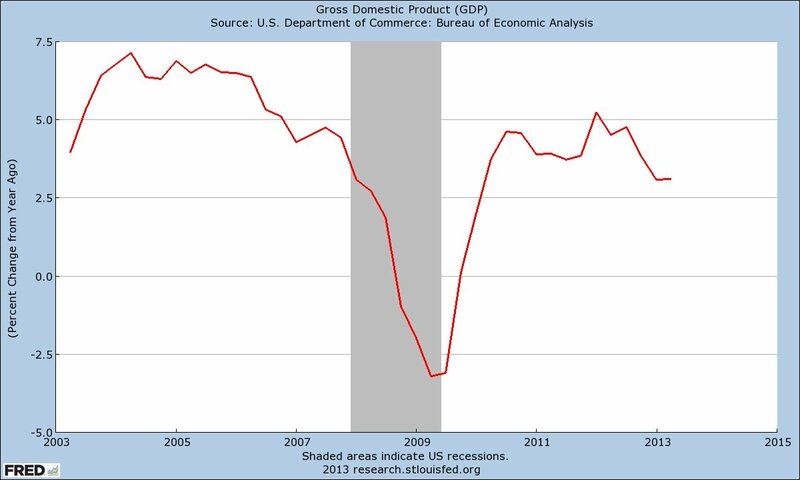 Simply put, Nominal GDP is growth plus inflation. Targeting NGDP, then, becomes an option to central bank targeting of inflation, which, according to the market monetarists, does not show the entire picture. The MMers like to target 4-5 percent, as it is a natural rate based on Wicksell's study. So, if inflation is only at 1 percent, but growth is at 3-4 percent, all is stable in this system. If growth is 1 percent, inflation should be bumped up to 3-4 percent. But that rate of inflation should only be higher when growth is lower. 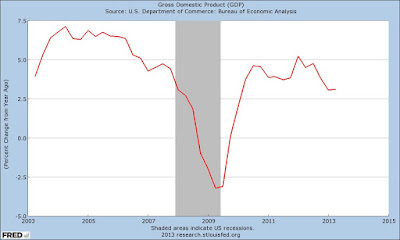 Nominal GDP started falling precipitously in early 2007 and, as a result, many people were laid off, and many corporate bankruptcies occurred. The argument of the MMers is that this fall off could have been leveled out had the Fed been paying attention to proper targeting. 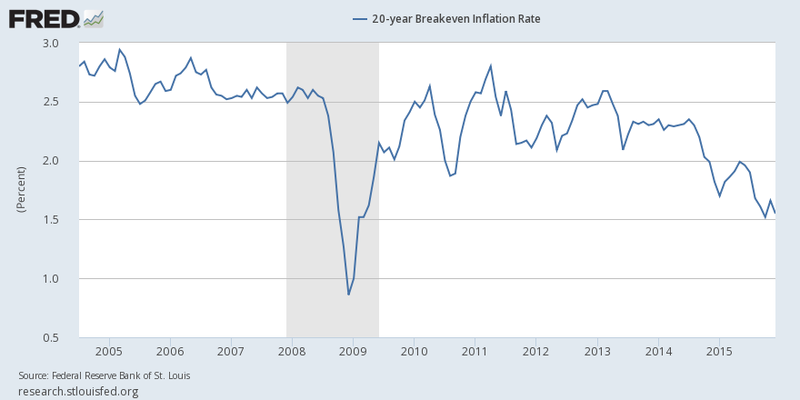 You can see by the next graph that the inflation rate (breakeven used here), was humming along and had not dropped in early 2008, while NGDP had already been dropping. Therefore, the Fed, if it were only looking at inflation, did not see any threat to money supply that was really occurring. Again, was it a mistake or done on purpose? Only the Fed knows that. 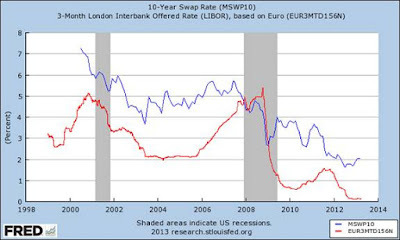 Also, I have argued that the Fed ignored the LIBOR interest rise taking place as NGDP dropped. My argument is a second proof that the Fed saw a crisis in data and did nothing. The MMers' argument that the Fed was too tight as to monetary policy at that time carries a lot of weight. The Fed was sleeping, and you wonder if it was done by accident or on purpose. Another example example of failure to target nominal GDP is now most acute in the Eurozone, where systemic unemployment is massive, especially in the periphery nations, like Spain, and Greece. NGDP Targeting is a process, and the measurements determining how to apply the process are complex. For non economists, the measurements may turn out to be something not worth trying to understand. But there are important things to understand. For example, NGDP Targeting would not save the economy from itself, but rather from monetary policies that could make downturns and upswings more unstable. NGDP is a method for wanting monetary policy to stay out of the way of the economy. 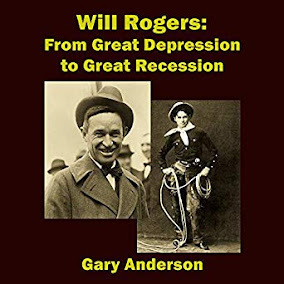 The housing crash, if the MMers are right, would not have been as severe had the Fed been paying attention to the NGDP in 2007 and 2008, which simply crashed horribly during that time. Some NGDP Targeting advocates like Scott Sumner say they are libertarians. But they will certainly not be accepted as such by most libertarians, who live in a fantasy world of free markets anyway. But, again, a policy that suggests a way for the Fed to get out of the way of the economy may appeal to libertarians and non libertarians alike. Because of the complexity of applying the simple notion of growth plus inflation, these economists tend to be very grumpy. They have bitten off a lot to chew on, because of the complexity of it all. And they have been abused, from time to time by other schools of economic thought. But I think that is what economists do and could lead to some grumpiness. One terrific idea from NGDP targeting is that the central bank does not have to fear failure in targeting inflation, if the economy is growing enough to make that inflation less needed. 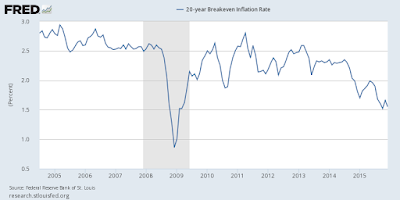 As it is, the Fed targets inflation at 2 percent, and they are timid about it. The MMers accuse the Fed of using 2 percent as a ceiling. With growth really slow in the next recession, say at 1 percent, this could be a problem for the economy. Knowing this could happen, people hoard money and bonds. The MMers think less hoarding would take place if NGDP were targeted instead of inflation. I hope this article has helped some understand that the Fed was flying blind, and data existed from two sources, NGDP and LIBOR, that told of a crisis brewing.